"1966 saw the Cultural Revolution in China and the Communist flag was briefly raised in the city. Official attempts to remove it were met with more rioting. British policy came to regard the Walled City as something of a hornets nest — best not to be kicked unless absolutely necessary. In the meantime, the Kowloon Walled City continued to develop and regenerate within itself. Buildings twelve stories high sprouted up without any adherence to planning law. Businesses blossomed — without the slightest concessions to legislation or taxation. Every nook and cranny within its tiny acreage was expanded out, and crammed into, until its intricate labyrinth of thoroughfares and pathways received not a ray of sunlight, even at high noon. The health authorities kept away. So the City just developed its own legion of ad-hock clinics and dental surgeons. In the absence of telephone and utilities companies, the City’s inhabitants just by-wired their own electricity and connections. 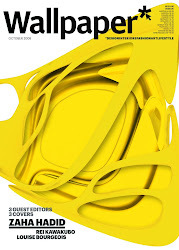 The same nick-it-yourself approach applied to plumbing and water. As a result, a tangled network of pipes and wiring dripped and hissed above the city’s dark, dank walkways. Cheap amenities for the residents, and, considering the extremely limited access, either in or out of the compound — a potentially catastrophic fire-hazard. 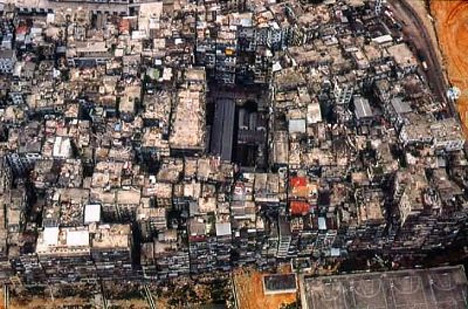 For years, the Kowloon Walled City became a no go area. In the control of Triads and drug dealers, with an estimated population in excess of 30,000. Many residents were illegal immigrants; exempt from extradition, encased within its walls. A lone European venturing into its midst would most probably never be seen again, no Chinese went in without appropriate reason. 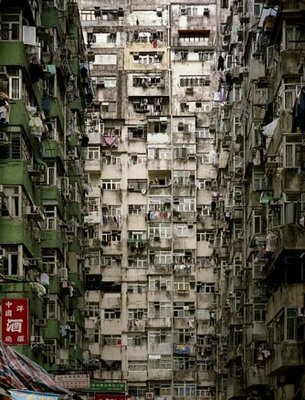 Only after Margaret Thatcher had signed away Hong Kong’s sovereignty did its future landlords, the communist Chinese, have the ability to finally evacuate the Walled City’s stubborn population between 1988-92 and then destroy its derelict, decrepit, rat infested shell. It was only in these final years of gradual abandonment that a few journalists, photographers and investigators were able to wander unchallenged, around the Walled City’s uncharted labyrinths and give embellished accounts. 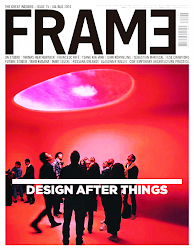 Two of them were photographers: Greg Girard and Ian Lambot, who spent four years exploring the City. 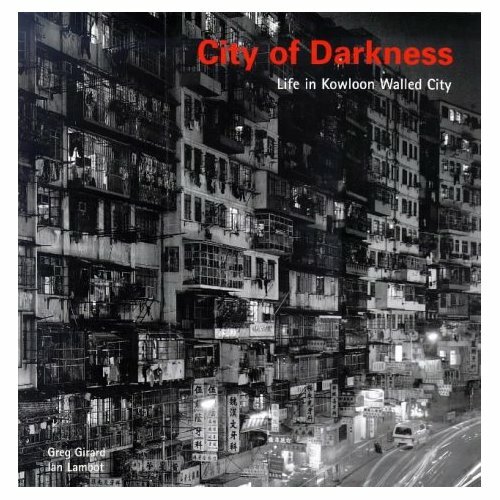 The vast collection of photographs they amassed during this time can be seen in their book City of Darkness: Life in Kowloon Walled City."